Bill Jeffery says the new Canada Food Guide is a step in the right direction, but more could be done to help Canadians eat healthy. An Ottawa expert on food and nutrition says the new Canada Food Guide is a step in the right direction, but more could be done to help Canadians eat healthy. The guide is getting its first major revamp since 2007, and draft versions are now out. Bill Jeffery, executive director for the Centre for Health Science and Law, said there are some real benefits to what's being proposed. The new guide, for instance, has a section on proteins instead of one specifically on meat and its alternatives. That's a good change, Jeffery told CBC Radio's All In A Day. However, the new guide doesn't put as much emphasis on serving sizes, which Jeffery said is one of its drawbacks. "There is pretty good evidence of the benefit of eating certain quantities of specific types of food," he said. Jeffery said the guide is always controversial, because so many different industries have a stake in it. "I think there is a reluctance to be controversial or to pin things down more," he said. Nevertheless, he said he's still pleased health Canada has done some work to try and keep industry influence out of the guide — even if that's no simple feat. "They have made attempts this time to keep industry out of the picture more than in the past," he said. "It has become clear that industry is very determined to put its mark on it. And they can't communicate directly with the scientists working on the guide, but they can talk to their bosses." 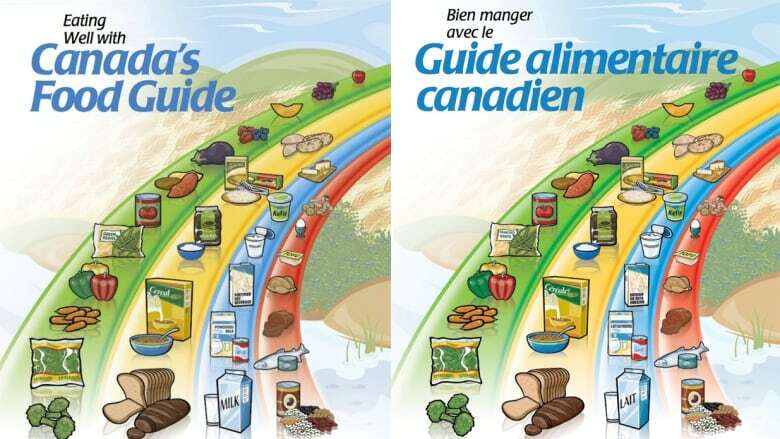 Jeffery also said the guide should be clearer about the benefits of changing your diet, something he thinks would help Canadians make better decisions about what they eat. "You can't see that switching from white bread to whole wheat bread could be a major benefit in your diet [based on the guide]." A vague guide, he said, creates "misconceptions" about what's really healthy — and that can make people confused.